The New Canaan Society for the Arts is accepting entries for its annual member show, in display from Sept. 9 too Oct. 13. Since 1977, the New Canaan Society for the Arts’ annual member show celebrates the range, interests, and talents of artist members working across various subjects, styles, and media in art. New and current members may enter up to three pieces, one piece will be chosen for inclusion in the exhibition. To enter, membership must be current for the duration of the show through Oct. 13. Prizes will be awarded and the entry fee is $20 for up to three pieces. Entries will be accepted online until Aug. 18. Membership is open to anyone with an interest in the artistic activities of the New Canaan Society for the Arts. Those interested in exhibiting or participating in other activities can join or renew their membership online at www.carriagebarn.org. Specific entry information is available at www.carriagebarn.org. For questions, call 203-594-3638. Tickets to golf are $150 per person, $500 per group of four and $125 for youth under 18. Family members/non-players are can join the barbecue buffet for $40 per person or $90 for family of three or more. All proceeds benefit STAR, Inc., Lighting the Way’s programs and services for infants, children, and adults affected by intellectual and developmental disabilities in Darien, New Canaan, Norwalk, Weston, Westport, Wilton, and Stamford. 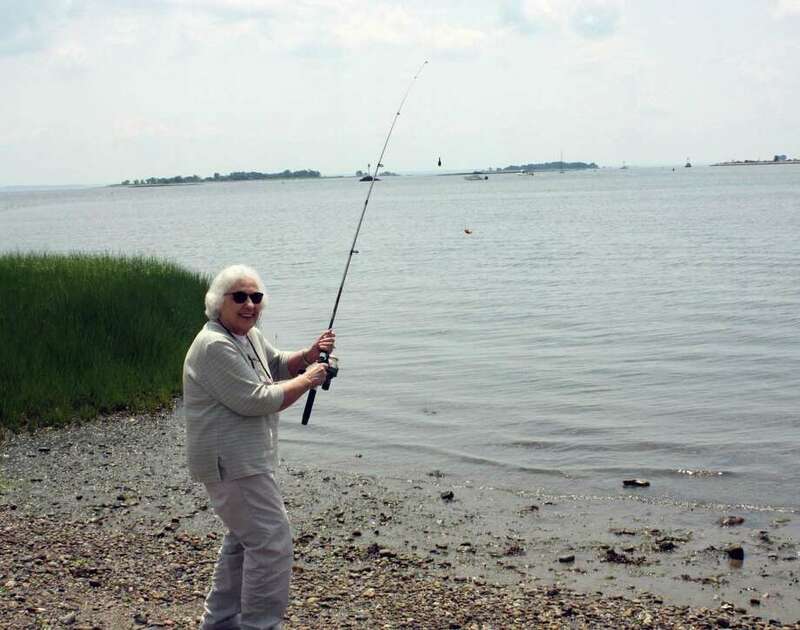 Waveny LifeCare Network’s Adult Day Program participants and assisted living residents from The Village recently took a fishing trip to Norwalk’s Calf Pasture Beach, where they spent the day casting lines from the shore of the Coast Guard Auxiliary Base, Flotilla 72. This outing was facilitated by avid fisherman Dontay Dempsey, who serves as Waveny’s facility operations coordinator. Dempsey provided the fishing rods, supplies, skilled instruction, and applied all bait as needed. For information, call 1-855-WAVENY-1 or visit www.waveny.org.